Former deputy prime Minister Arthur Mutambara, has drawn up a proposed road-map for elections in Zimbabwe, amid high tension between President Emmerson Mnangagwa and the opposition. There had been some expectation that Mnangagwa would bring in figures from outside Zanu PF, from Joice Mujuru’s National People’s Party (NPP) or from the various Movement for Democratic Change (MDC) factions. Chris Mutsvangwa, the president’s adviser, told the media that Mnangagwa had “engaged” the MDC about forming an “inclusive” team in this way, but Morgan Tsvangirai, leader of the main MDC, barred members of the party from joining the team. The MDC disputes this version. As it is, the Cabinet team is very much a pure product of Zanu PF, but it is clear that Mnangagwa made an effort to be as inclusive as possible of different factions within the ruling party, although his team is skewed towards older men who fought in the bush war. 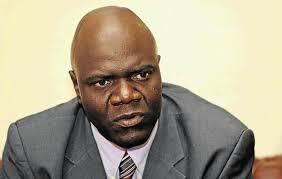 A former student leader who is recognised as one of Africa’s most prominent scientists, Mutambara proposed a 10 Point Agenda not in any particular order that he said its execution should be done concurrently. “There are 10 key matters that we need to push the new regime in Zimbabwe to address: reforms — electoral, media, political and legislative — to enable and facilitate free, fair and credible elections; a clear and inclusive roadmap to those free, fair and credible elections in 2018, release of all political prisoners and those currently under trial,” he said. The Oxford scholar called for security sector reforms, in particular de-linking the military from civilian mandates, redress for all victims of political violence, Murambatsvina and Gukurahundi. The former Rhodes Scholar and robotics and mechatronics professor said implementation of devolution and decentralisation as prescribed in the national Constitution was key, including constitutionalism and general adherence to, and respect for the rule of law.